Play as the wife of beloved sir CRUNGUS, Mrs. CRUNGUS, in this short-and-sweet puzzle-platformer! Using your powers, you can possess any non-living object to do your bidding - but beware: you can only possess an object once, so make your plans carefully! Once you lift your possession from an object, you won't be able to possess it again. How do I get the secret ending? There are three secrets in the game. Two of the secrets are found in the main mansion area, the last one is found in the catacombs (not the basement) area. Look for out of place tiles in the walls and any possible alternative routes. They could hint you as to where you need to go! Now, everything I didn't mention was either good or very good :D I particularly liked the variations on the music. Excellent work in 48 hours. Definitely pulled me into gameplay more than any of the other entries. A pleasure, well done! The Crungus games have all been super high quality and this one is no exception. The art is great, the music is great, the story is great, and it's overall very polished. I did have some qualms with the gameplay of previous games but with this one I enjoyed it a lot. The main mechanic is neat and is used in a variety of interesting ways. My only complaint is that the possession window is a little small, but that's very minor. Pretty solid gameplay, high-quality art, cool mechanics, amazing sound. This game is pretty well done, it is a game 10 out of 10, really a must-play game in this jam. Good job. z/x controls. Pls no more of this unless it's remappable. It's tedious to control for people like me, who have a querty keyboard. Your hitbox seems too big while items to possess seem to be too hard to reach. Maybe you could possess them from further and the one you're gonna possess would be highlighted. Collision bug: when tipping the coat rack over on a wall, you become unable to unpossess it. This is the best Crungus game so far. The lore is strong, coherent, and it's very nice to see such depth in story. Didn't expect the secrets to unlock a secret ending neither! I prefer this Crungus way more than the others (more colors, bigger sprites), and the cutscenes are just so lovely. It feels so polished, the story has a pretty nice flow and is very diversified throughout the 3 levels. I like how it transitions between them. Also, the best fight is pretty nice and clever. The music is also absolutely lovely. I think we got the winner of the 24th gm48. Thank you! I will be sure to add multiple control schemes next time. Felt very positive about the game overall, but possession when falling is a bit tricky and feels like the window of opportunity should be a little bit bigger. This game was remarkably well done. It definitely feels like a game that took longer than 48 hours to make, and has a lot of polish on it. My only complaint is that it would feel a little better with some ledge forgiveness on the jumping. This game looks, feels and sounds like a fully polished game. It's something I could see on steam. The music was amazingly done and really hit the spot. It wasn't in-your-face or intangible, but a perfect balance of ambient and melody. It fit the mood just right and improved the overall experience. The graphics are just perfect. Simplistic and readable. characters and objects stood out from the background with awesome colours. The animation is spot on and really held together. The controls were responsive and easy to get the hang of. The story also feels really polished and well planned. I really enjoyed the fact that the game also has credits at the end. The puzzles were extremely well designed and were a perfect combination of difficulty and entertainment. On that note, the difficulty curve was very VERY satisfying to say the least. Early puzzles to teach and later one to master. By far the best game in the jam. So incredible for 48 hours. This is a stunning piece of work for something made in 48 hours. Everything about this was spot on - the gameplay was really fun, the artwork was some real eye candy, and the sound design was top notch. I will be keeping an eye on Tomato Tavern - I think you lot have some amazing skills. Fantastic job! My word. Just... amazing. I was so confused until I saw there was a team behind this, because this goes above and beyond. Amazing music, amazing gameplay, visuals, varied level design, the works. All the hats off to you. Also: Your attention to detail! The piano, the paintings that watched you... 11/10 all the numbers. My favourite game yet, and even though I haven't played many games I can safely say it's gonna be the best even after I play them all. I'm a really big fan of all of the CRUNGUS games and this is not an exception, insanely good art and music, controls and design were impeccable, not one bad thing. 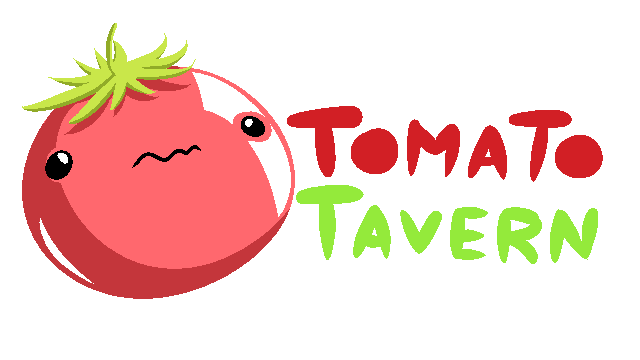 The story though, it was something else, there aren't many jam games that push their narrative so far like this one, if there was an 11 in immersion I would've given it to you, awesome job Tomato Tavern. Good game, fun concept, a bit short. Packed full of charm with the artstyle, music and writing. My personal favorite from the jam so far. This actually felt like a complete game. All aspects came together very well. The introduction of mechanics was handled very well and it built on previous lessons like good gameplay does. The sound and music were spot on as well. I really liked the posses mechanic, and liked that you gave many items to possess, so it felt fairly fresh. With more time this could be fleshed out into a larger game quite well. The only thing I didn't like was I constantly got mixed up with the x and z buttons, but that might be just me. Having controller support would of been a nice addition. Great little game, music is adorable like the previous games and Elko's art is wonderful as he usually does. Short and fun but due to the short length I feel it does not fulfill its potential, more puzzles would have been great. This was a pretty good game. The possession mechanic was interesting, and allowed for some pretty neat puzzles. I liked the humor, especially the boss! The graphics and music was good and fit well together. Not much else to say there. It could get a bit annoying to redo certain puzzles involving the lamps if you missed your jump. The game felt a bit buggy though with collisions, as the camera could shake a bit if you walked up to a wall. I do not find this surprising though, considering the time limit. I also found what I think was screen tearing? I'm not quite sure what it was. Overall pretty good and I would love to see more of this you ever decide to expand this game. Thank you for the feedback. I noticed the camera jittering a little throughout our playtesting sessions, and I tried to fix it multiple times (to no avail, of course). I would like to ask: what was your favorite part of the game, and what was your least favorite part of the game? 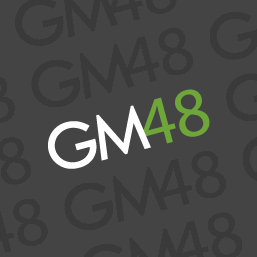 I'd like to know what areas we did well in and what we need to work on for the next time we participate in a gm(48). Play as the wife of beloved sir CRUNGUS, Mrs. CRUNGUS, in this short-and-sweet puzzle-platformer!